This Sunday we will celebrate Palm Sunday. This day begins Holy Week– something that the church has observed for hundreds of years. To prepare for tomorrow, please read Luke 19:28-44. You may want to read what Matthew, Mark and John say about this day as well (Matt 21:1-11; Mark 11:1-11; John 12:12-19). I also want to remind you that we will have a Good Friday service with Crosscurrent and Hilltop Community on Friday, April 6th from 6:30-7:30 in the Hilltop sanctuary. This will be a time of reflection on the sufferings of Jesus on the hill of Calvary and a preparation for the incredible reality of his resurrection that we will celebrate on Easter Sunday. I encourage you to join us tomorrow, Friday and on Easter. I also want to encourage you to invite a friend of family member. This is a time of the year when many people are open to hear the story of Jesus and what he has done for all of us. Hey gang– I hope everyone is having a great week. Sunday, we will be sending off Tim, Katie, Halley Jane, Tucker, and Karina (did I spell your daughters’ names correctly?) Adams. We will eat whatever breakfast items folks are willing to bring. This will be a time of food and fellowship, but we will also experience something that happened regularly in churches in the Book of Acts: We will send out missionaries to a ministry call in a place far from here. Part of this process will include us praying over the Adams and thanking God for them. Please bring some gourmet item to share and we will celebrate what God has done, is doing, and will do through this awesome family! Sorry for the late post– but it has been one of those weeks… Plus the NCAA Tournament is on! This week we will cover Acts 18. That’s right, I hope to cover a whole chapter tomorrow. Read Acts 18 and we’ll talk about it tomorrow. 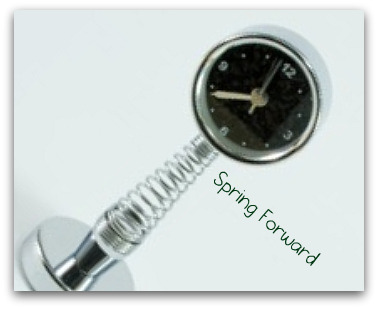 Remember to Set You Clocks Ahead!! This Saturday night we “spring forward”. Remember to set you clocks ahead on Saturday night… That means that our 9:15 start time will actually feel like 8:15am. I know that the temptation will be to stay all warm and cozy in bed– but make the move and come to church! We’ll mss you if you don’t… Plus, you have to see how Paul concludes his message to the Athenians on Mars Hill, right? This week we will finish Acts chapter 17. More specifically, we will focus on Acts 17:29-34– the conclusion of Paul’s sermon on Mars Hill (Aeropagus). Now Paul hits the big point in his sermon– now he is going to show how these truths come together and have a profound effect on our lives. Join us as we, too, listen to Paul’s words. We will also be sharing the Lord’s Supper together this week. I hope that everyone is having a great week! And even if you are not, we still get to gather together this Sunday to encourage each other and be encouraged by god’s Word. We are talking about Acts 17 and Paul addressing the philosophers on Mars Hill (that’s another name for the Areopagus). Last week we saw that Paul presents some foundational truths about the God of the Bible– truths that are the same today as they were 200 years ago (and actually way before that!). These truths have a tremendous effect on how we live our lives. This week, we will discover 3 more foundation stones of the Christian faith. Check out Acts 17:25-27 to see if you can figure out what they are. This is a powerful passage to understand. As we learn more about our God,we are transformed by his truth!